The Glasgow Markets, are delighted to be celebrating their second year in business and their unprecedented success by moving to an iconic Glasgow venue! Remaining in the heart of The Barras, we are thrilled to announce Saint Luke's & The Winged Ox as their new venue for our Independent and Vintage & Flea Markets. Since launching in February 2017, we have curated and delivered 17 markets to the people of Glasgow helping showcase over 250 small businesses. 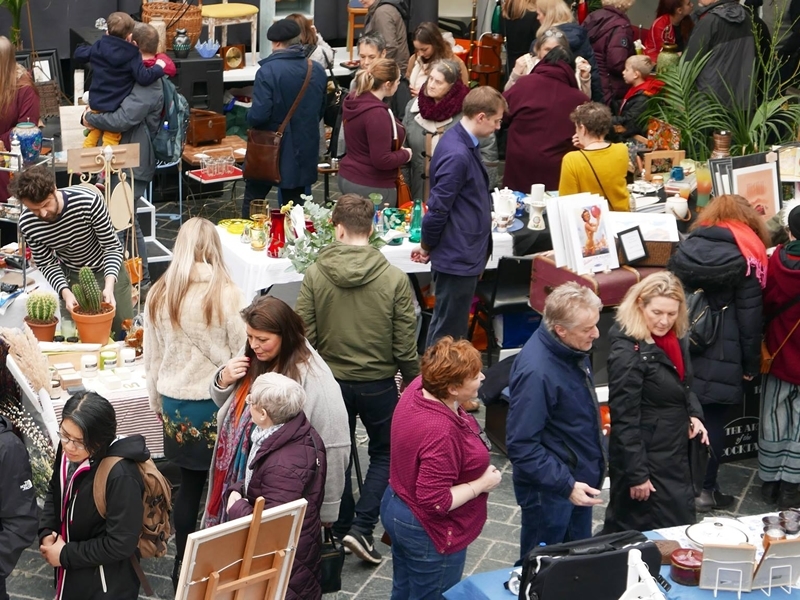 Beginning Sunday 18th March with the Glasgow Vintage & Flea Market, the move to Saint Luke's & The Winged Ox will help showcase a wider variety of Glasgow & Scotland’s best independent vintage & flea businesses. Closely followed on Sunday 15th April with Glasgow Independent Market bringing the public the best creators, designers and retailers Glasgow has to offer. The Glasgow Vintage & Flea Market offers visitors a selection of antiques, vintage clothes, mid-century and retro items, vintage furniture, prints, original art, old books, collectables and vinyl records amongst many unusual items. The Glasgow Independent Market promises the best of menswear, womenswear, luxury fashion, vintage & retro items, homeware, art, prints, books & magazine, food, gifts all by the best of small and independent retailers around Glasgow and Scotland. The Glasgow Markets are both child and dog friendly and a great day out for all. The events have brought new visitors to Glasgow’s iconic Barras and have raised over £1,000 for charities so far in 2018 with over £300 going to local community charity The Space from the last market.